"A psychological research study found that viewing history films considerably increased factual recall when the film matched historical readings. However, students came away with considerable misinformation when the film conflicted with the readings – because the students remembered the film and not the text. This occurred even when students were generally warned that the history movies were fictional. With specific warnings about false details, most students were able to remember the accurate information as well as the misinformation. Teachers must set the stage when a movie is introduced, helping students mentally tag which elements are inaccurate..."
Hollywood loves history. At this year’s Academy Awards, three nominees for Best Picture (“Fences,” “Hacksaw Ridge” and “Hidden Figures”) were “historical” to today’s teenagers – set in or about events that occurred before they were born. History movies, like most movies, have a huge audience in the U.S. Even Disney’s notorious 2004 version of “The Alamo” – a box office “bomb” – was seen by millions. That’s far more people than read most best-selling historians’ books. A lot of these viewers are kids, watching the movies in theaters, at home and even at school. I’ve observed “The Alamo” used by teachers on more than one occasion. But are motion pictures like these good for learning about history? 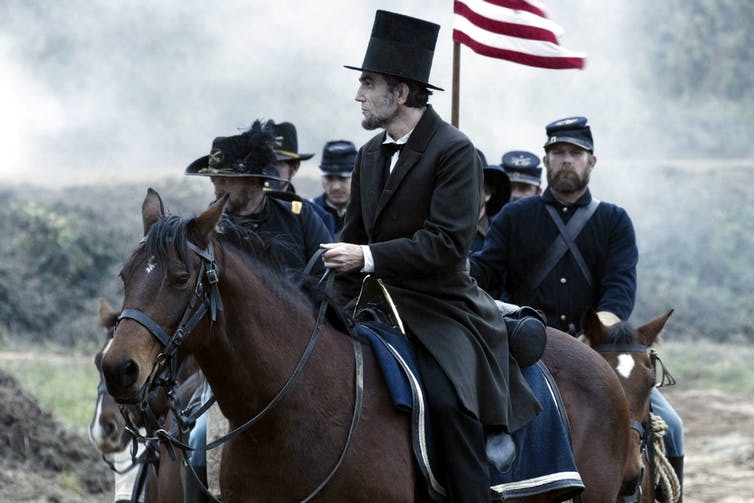 As a scholar of social studies education and the use of film to teach history, I offer the response that films can support learning – if used to meet specific goals and connected to the proper subject matter. 2016’s ‘Hidden Figures’ was nominated for Best Picture. Will it be used in classrooms some day to teach about this moment in the 1960s? Fact-based or fictional, realistic or fantastic, history movies shape the way people think about the past. In a study of how 15 families discussed historical understanding of the Vietnam War era, kids and parents both spontaneously drew on memories of movies. “Forrest Gump,” in particular, was referenced by both generations. It’s not surprising that teachers want to draw on this cultural power, showing movies in class to get students more excited about history. In one study of 84 Wisconsin and Connecticut teachers, nearly 93 percent reported that they use some portion of a film at least once a week. While not enough to draw clear conclusions, this study does suggest that history films are likely used quite often in the classroom. So why do teachers choose to show movies with class time? People often talk about the stereotype of the busy/lazy/overwhelmed teacher who puts on a movie instead of doing “real” teaching. However, research indicates that teachers actually tend to have good motives when it comes to showing movies in class. In that study of 84 teachers, most felt that students are more motivated and learn more when a film is used. Case studies also describe other academic goals teachers have for using movies in class, which include understanding historical controversies, visualizing narratives of the past and studying movies as “primary sources” that reflect the time at which they were made. In a recent study of more than 200 Australian teachers, many described how movies added audio and visual elements to learning and showcased a more personal, empathetic look at historical figures and events – both aspects that the teachers felt resonated with the learning styles and preferences of their pupils. Most young people are savvy enough to know that movies and TV are fictionalized, but that doesn’t mean they know how to keep history and Hollywood separate. After all, movies and TV shows set in a historical period can be extensively researched and often blend fact and fiction. In a study of two U.S. history classes, high school students interviewed claimed that “Hollywood” films are less trustworthy sources of information. Yet in classroom activities, they treated them like any other legitimate source – perhaps because the teacher adds some unintentional legitimacy simply by choosing the film. The teacher “must see some good history in it,” explained one student. “I don’t think he’s going to show something random,” said another. A case study by education professor Alan Marcus found that students believed most movies watched in class to be at least somewhat trustworthy – a source of information to gather facts. The level of trust students have may also depend on their prior knowledge or cultural viewpoints, as in a study of 26 Wisconsin teenagers – half of them white and half Native American. The Native American teens found the 1993 Kevin Costner film “Dances with Wolves” to be slightly more trustworthy than their white peers did. The white students, on the other hand, rated the school textbook as much more trustworthy than the Native American teens did. Many history movies are R-rated, with material parents may not want shown in class. Some administrators aren’t supportive of spending class time on popular media. Pressure to cover content standards and prepare for testing can leave little time for intensive media projects. The very structure of the school day, in fact, makes it difficult to fit film viewing into the curriculum – especially if discussion and reviewing strategies are included. Perhaps the most daunting question is whether movies are actually good for learning history. In one Australian study, most participating teachers believed film to be useful, but some took the position that film can confuse students with inaccurate portrayals. “Hollywood distorts history, but kids remember what they‘ve seen more than the facts,” said one teacher. 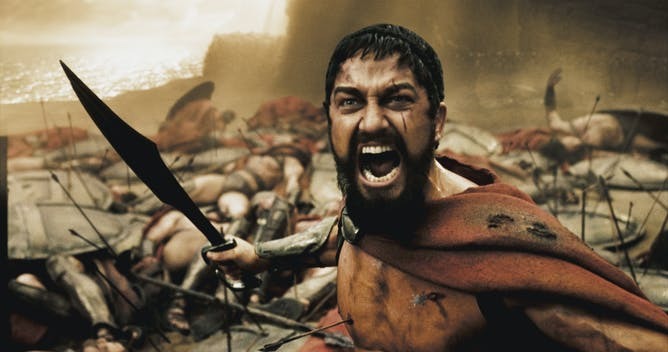 A psychological research study found that viewing history films considerably increased factual recall when the film matched historical readings. However, students came away with considerable misinformation when the film conflicted with the readings – because the students remembered the film and not the text. This occurred even when students were generally warned that the history movies were fictional. With specific warnings about false details, most students were able to remember the accurate information as well as the misinformation. Teachers must set the stage when a movie is introduced, helping students mentally tag which elements are inaccurate. Zack Snyder’s 2006 epic ‘300’ has some big pieces of misinformation, but the bulk of the narrative elements is more accurate than many people think. Warner Bros.
History movies have potential as learning tools, but that potential isn’t easy to realize. Teachers need strong subject matter knowledge about the topics portrayed, so that they can frame the movie and its relationship to fact and fiction. Teachers also need to have sound learning goals and awareness of the diverse cultural viewpoints that students bring to the classroom. And they need the time and resources for meaningful discussion or assignments after viewing. Simply put, history movies – and most other media – by themselves don’t teach. If a teacher lines up proper film choice, lesson goals, subject matter and class activities using the film, it is possible to really learn about history by way of Hollywood.